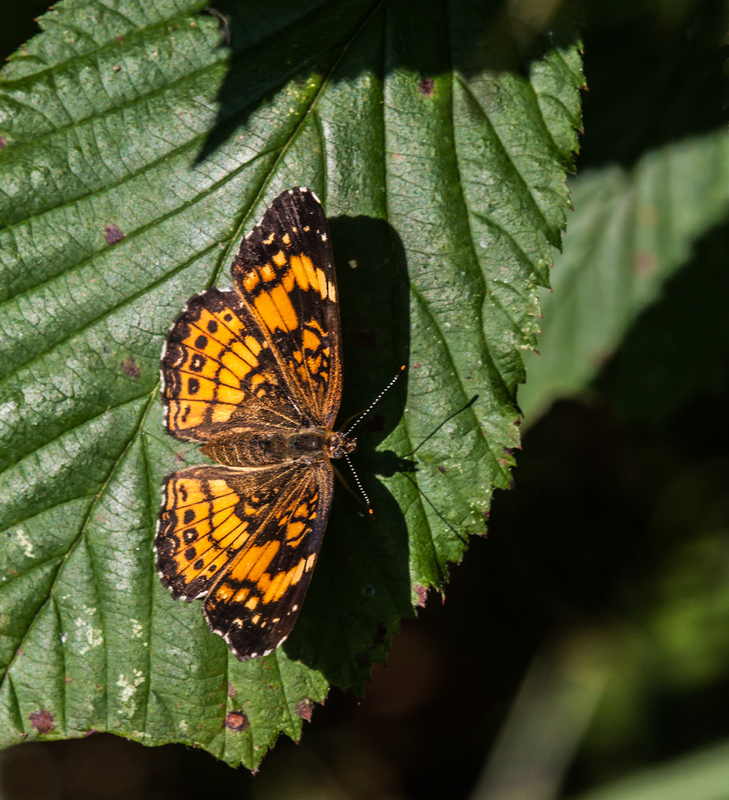 Recently I spotted this small orange and brown butterfly while I was roaming the trails at Occoquan Bay National Wildlife Refuge. I initially thought it was a Pearl Crescent butterfly, a familiar species, and posted a photo on Facebook. One of my friends there, however, pointed out that my little butterfly was actually a Silvery Checkerspot butterfly (Chlosyne nycteis), a new species for me. The composition in my image is pretty simple, but I really like the way that it turned out, with the soft contours of the butterfly juxtaposed with the linear veins of the leaf and the sharp contrast between the dominant green and orange tones. The shadows are a real bonus, adding additional interest to the photo. Not to mention the exquisite orange tips on the antenna! Another great one, Michael. Whatever it is, it’s beautiful. Great picture, Mike.